Developing One Health capacity is not only the most effective way of responding to the threats posed by EIDs and zoonotic diseases, but also acts as a catalyst for creating opportunities, fostering stronger collaboration, mutual support, and sharing knowledge, good practices and information among the Ministry of Agriculture (MoA), the Ministry of Health (MoH) and the Ministry of Environment and Forestry (MoEF). “It’s not only about improving what we do, but also how we do it. 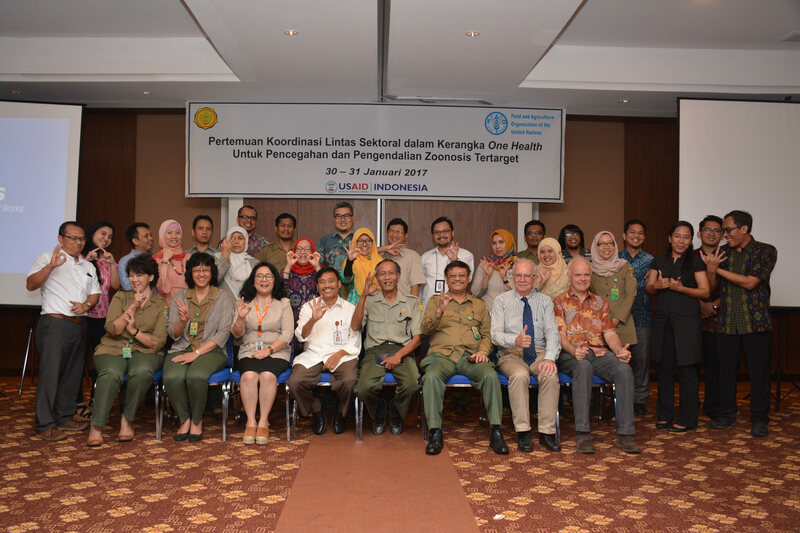 Working together using the One Health approach will encourage government ownership and enable national sustainability of early EID detection, rapid response and control of zoonoses,” said Dr. James McGrane, Team Leader of FAO ECTAD Indonesia. 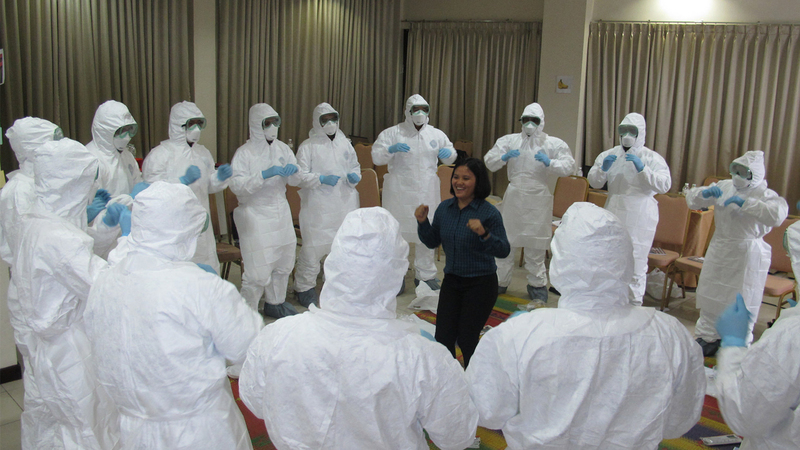 One Health-related activities have been implemented under the Emerging Pandemic Threats Phase Two (EPT-2) Programme, which is funded by USAID and was launched in 2015. In collaboration with the Directorate General of Livestock and Animal Health Services (DGLAHS) at the MoA, FAO ECTAD works to strengthen the capacity of government officers in the prevention and control of targeted EIDs and zoonoses. In doing so, the Government of Indonesia have designated three districts as pilot areas where a series of trainings under the One Health mechanism are being implemented: Bengkalis (Riau Province), Ketapang (West Kalimantan Province), and Boyolali (Central Java Province). These districts were selected based on several factors, such as drivers of disease emergence and potential spill-over of diseases from animals to humans; the potential for amplification and spread of diseases; and strong interest and support from local governments. At the heart of One Health capacity development are early detection, reporting and rapid response. FAO ECTAD took the first step in designing One Health capacity development by assessing resources in each ministry and identifying their needs for capacity building. This was followed by developing training modules based on the competencies needed by the three sectors. Once the modules are finalised, field testing will be carried out by national facilitators and a network of facilitators will be set up for each sector. This is essential in order to ensure the sustainability of the programme, once FAO ECTAD completes its mission. FAO has also involved the Education and Training Agency at each of the three ministries to endorse the inclusion of One Health competencies in their syllabus, in order to be used nationwide. The three ministries have agreed on One Health competencies for use of their field front-liners. Within the MoA, competencies are built in the areas of disease surveillance and rapid response, targeting veterinary service officers at Animal Health Centres. The competencies for the MoH are targeted at Public Health Centre officers, focusing on surveillance, prevention, and control. For the MoEF, capacity development is focused on early disease detection in wildlife, which involves Forest Ecosystem Control Officers, Forest Rangers, and Wildlife Health Officers. Complementing this are competencies on Integrated Disease Outbreak Investigation that will be provided to the three sectors: information sharing, rapid risk assessment, and disease investigation. Currently, the three ministries are testing four modules under the themes of One Health, EIDs, Cross-Sectoral Collaboration, and Joint Investigation and Response. Another component in One Health Capacity Development is development of an information sharing mechanism and support for a cross-sectoral information sharing platform. Currently, FAO ECTAD Indonesia is developing a reporting mechanism and an information system for wildlife health, which are still not available within the MoEF. The last component is EID Communication Strategy development for cross-sectoral coordination in the pilot areas, where a series of workshops are planned. 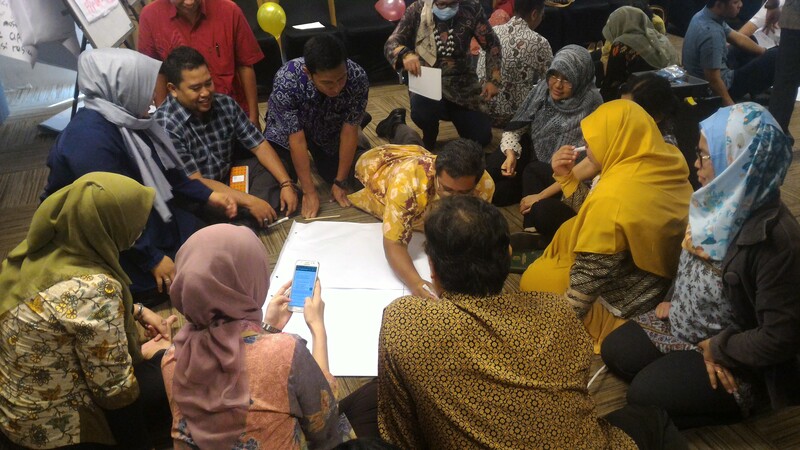 The first workshop on developing a communication strategy was conducted in November 2016 in Pontianak, West Kalimantan, where local needs and potential in communicating on EIDs and zoonoses were identified. Supporting a higher coordination mechanism under the Coordinating Ministry for Human Development and Culture, FAO ECTAD works with USAID’s Preparedness and Response Programme in developing Guidelines for the Implementation of Cross-Sectoral Coordination in Facing EID and Zoonoses Outbreaks. The guidelines will be used by local governments in coordinating cross-sectoral actions when a disease outbreak occurs. “The One Health approach invokes interdisciplinary and cross-sectoral collaboration, and provides opportunities for many breakthroughs. What we need now is a firm and strong commitment to work and advance together,” said McGrane.